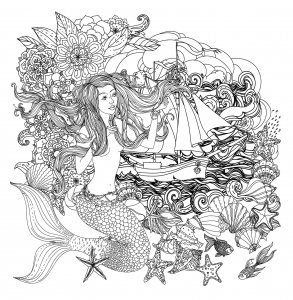 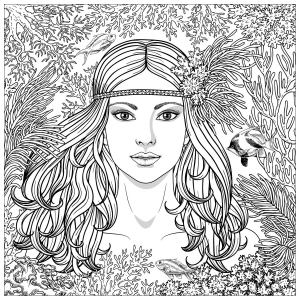 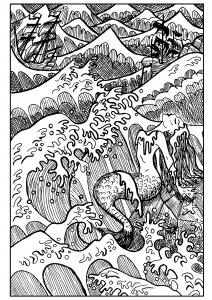 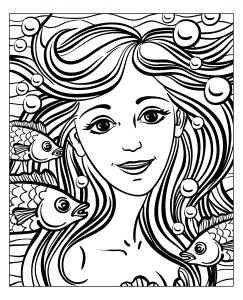 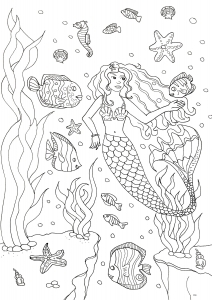 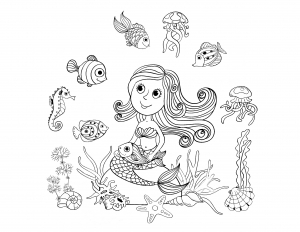 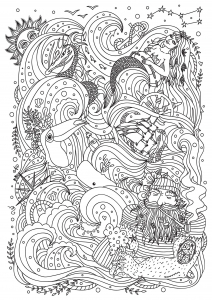 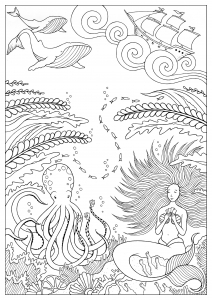 Discover our Mermaid coloring pages. 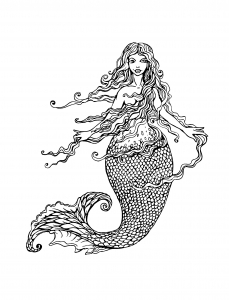 In the Greek mythology mermaids attracted the sailors by their singing coming from beyond. 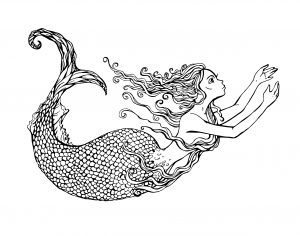 The sailors died then because of the irresistible charm of mermaids.